Muzak Holdings LLC engages in providing business music programming services to clients all over the United States. The Muzak Holdings Company designs, delivers, and installs voice messaging, custom music, digital signage networks, professional sound systems, and drive thru equipment. The company also provides scent solutions, closed circuit televisions, and video management systems. The Muzak Holdings Company serves retail, and restaurant and bar, hospitality, quick services restaurant, healthcare, and financial industries. The Muzak Holdings Company was founded in the year 1934 and has headquarters located in Fort Mill, South Carolina. 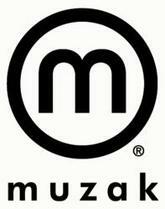 Muzak Holdings LLC runs as a subsidiary of Mood Media Corporation. There are currently 0 consumer reviews about Muzak Holdings Llc available. Share your review. Please take a note that you are about to post a public review about Muzak Holdings Llc corporate office on CorporateOffice.com. This review will be public, so please do not post any of your personal information on this website. If you would like to contact the corporate offices of Muzak Holdings Llc, please use their contact information such as their phone number, website, and address listed above to contact them. However, sometimes staff from Muzak Holdings Llc headquarters do read the reviews on this website.